Security block off the entrance to The Belfry while police investigate a stabbing on the premises. Six people were stabbed when a New Year's Eve party at the Belfry nightspot in Sutton Coldfield descended into bloody violence, leaving one man in a critical condition. Police were called to the Bel Air Nightclub at around 12.50am to reports of 21-year-old man being stabbed in the chest. Once there they arrested a 26-year-old man from Birmingham on suspicion of causing grievous bodily harm. But as they dealt with that incident, further violence broke out both inside and outside the club - during which five others suffered stab wounds. One 28-year-old man remains in a critical condition while four others, aged between 20 and 27, were released from hospital after treatment. The initial victim underwent surgery and is not believed to be in a critical condition. As well as the 26-year-old, a 22-year-old was also arrested on suspicion of assault while a 20-year-old, again from Birmingham, was arrested on suspicion of violent disorder. Superintendent Adrian McGee, of Warwickshire Police, said: "This is the early stages of the investigation and at this time officers are still in the process of piecing together what has happened. "This was a very challenging disorder for our officers to control on what was a very busy night for the force, and I am grateful for the work they conducted and bravery they showed last night in bringing order to this incident. "Enquiries are being completed to identify the individuals who are responsible for the varied assaults. 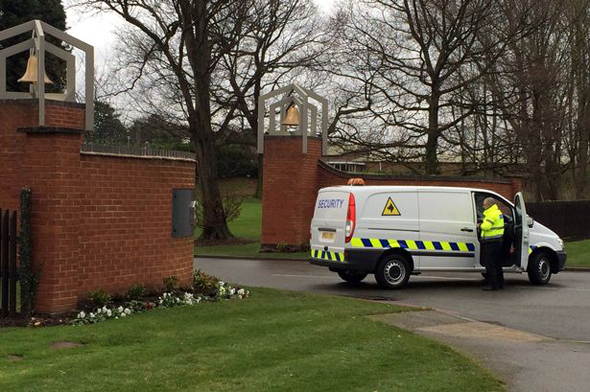 "The management at the Belfry are assisting in bringing an understanding to the events of last night. "We would urge anyone who was inside, or in the vicinity of, the nightclub during the time of these incidents who has information to assist the inquiry to contact police on 101, quoting incident number 24 of January 1st, 2015." 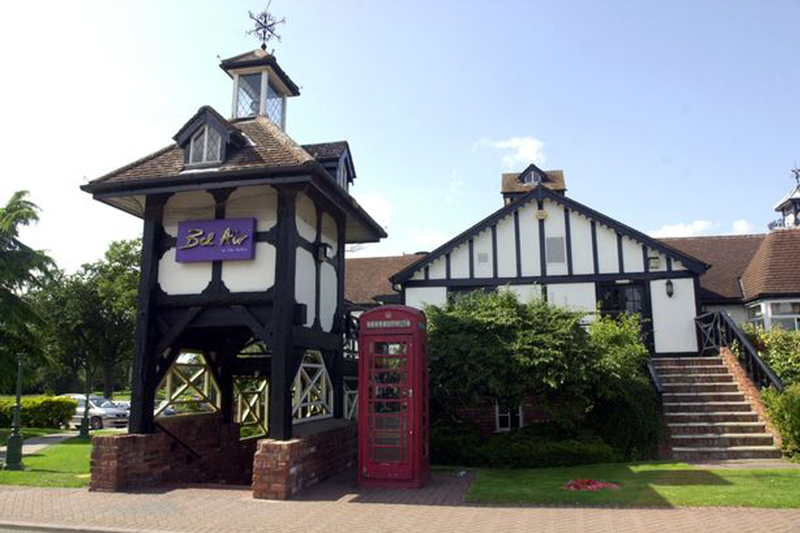 A boss at the upmarket Belfry said the golf resort remained open for business as usual on New Year's day. However customers were unable to access the site through the main gates on Lichfield Road, near to which a car park remained sealed off with police tape. David Edwards, general manager at the hotel told the Mail: "It is business as usual at the Belfry, we had a very successful New Year's Eve at the hotel. "There was an incident, police have been on the site this morning and we are co-operating with their enquiries."